Clemson Girl: Happy New Year! Happy New Year Clemson Girls!! I'm excited about a new year... What are your New Year's resolutions? I have too many to even list... It's only the first day of the year, and I'm already sick of the weight loss commercials and Match.com commercials.. lol. Visit the Gameday Divas! They are having a mega 50% off blow out sale to make room for all of their 2010 merchandise - enter coupon code '2009' at check out to get 50% off of your purchase! 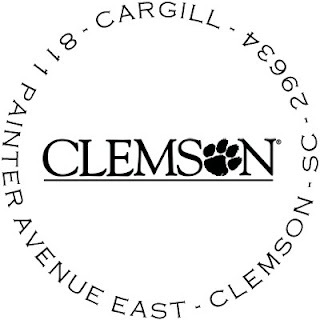 Clemson address stampers - $48.95, but only about $25 with 50% off discount! Have you registered yet for Dabo's Ladies Clinic? I'm definitely going this year - it looked like a ton of fun this past year! It's July 24th this year and only costs $60 ($15 will be matched by Coach Swinney and donated for breast cancer research). 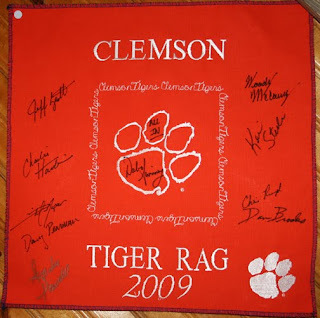 If you plan on going, make sure you get your personalized Clemson Tiger Rag from clemsontigerrags.com and get it signed by Dabo and everyone on the team. Stella & Dot is a great place to get unique jewelry. They are having a huge sale on a lot of their items - the sale is huge! I saw items on there with prices that were cut in half! You've got to check it out... Also, their new 2010 items will be launched the middle of this month. 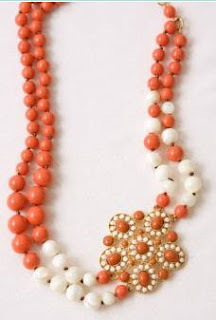 This brooch necklace was previously $138.00 - and is now only $69.00! Is your birthday coming up? 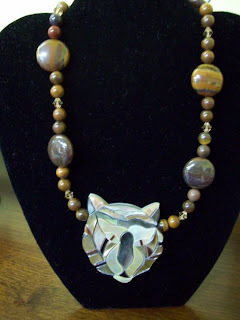 Treat yourself and your friends to a jewelry making party at The Beaded Tiger! You get the whole store after hours for you and your friends - and everyone just pays for the jewelry you make. The Beaded Tiger even lets you bring your own food and drinks. You can also throw a party at The Beaded Tiger for your little Tiger fans - only $15 per child and each child goes home with a bracelet they make themselves. Fun! Guess what? 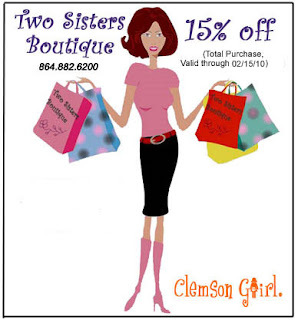 Two Sisters Boutique is moving...to Clemson (from Seneca). Starting January 11th, they will now be located next to the Merle Norman studio off of College Avenue! Make sure you stop in and see their new digs. They are having a huge after Christmas sale right now and most of their items and apparel are 50% off! Plus, use this coupon below (click on it for a printable view) to get an additional 15% off! And last but definitely not least, make sure you navigate your way to McAuley's Unique Boutique Web site and check out the stylish boutique apparel. And follow them on Facebook to stay up to date on all of the newest trends and styles in 2010. Orders over $100 get free USPS Priority Shipping. 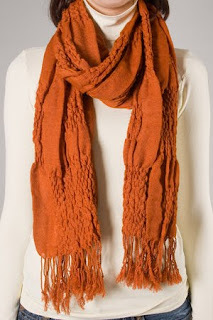 Love this scarf from McAuley's!